Do you ever go the store and wonder who buy some of these things? 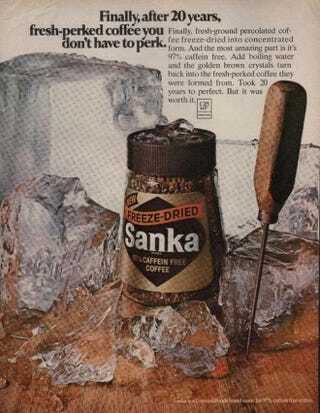 Back when I was a kid, people’s grandparents often drink things like Taster’s Choice, Sanka and other really gross instant coffee. I don’t know anybody who drinks that anymore. Even my grandma has upgraded to folgers for the coffee maker. What do you guys think what other mysteries have you seen in the grocery aisle?